FERRARI has scored a famous victory in the 2017 Bathurst 12 Hour in an action-packed race full of accidents, retirements and controversy. 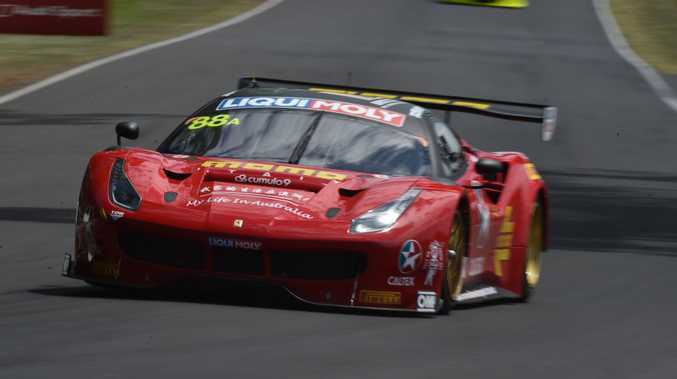 The winning Ferrari 488 GT3, driven by Jamie Whincup, Craig Lowndes and Toni Vilander, secured the win after its nearest rival Mercedes-AMG GT3 stunningly crashed out with less than half an hour to go while challenging for the lead. Supercars champion Shane van Gisbergen in the Mercedes-AMG GT3 had enjoyed a fierce battle with the Ferrari in the final hour, but van Gisbergen struck the rear of the #51 Porsche, forcing it into the wall hard at turn 22. Van Gisbergen was given a drive through penalty, but moments later made a mistake at the top of the Mountain and went nose first into the wall and out of the race while challenging the lead Ferrari. Team mate Maro Engel heavily criticised van Gisbergen after the incident, suggesting the Kiwi Supercars champion made too many mistakes during the race, costing the team a chance of victory. Van Gisbergen was quick to apologise for his error, but Engel's comments aired so publicly to television presenter Mark Berreta were controversial. After an intense final hour of racing, second place went to the the #12 Ice Break Competition Motorsports Porsche 911 GT3 R and third place to the #17 Bentley Team M-Sport Bentley Continental GT3. Both finished a lap down on the winning Ferrari. The 2017 Bathurst 12 Hour once again lived up to its reputation as arguably the most competitive and compelling race on Australian soil, with a field heavy with stunning exotic GT3 and GT4 race cars and a world class driver line-up. 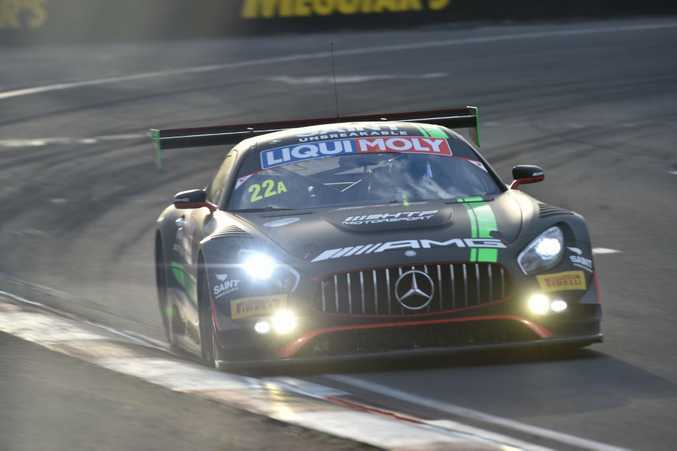 SUPERCARS champ Shane van Gisbergen leads the Bathurst 12 Hour at the half way stage in the #22 Mercedes-AMG GT3. 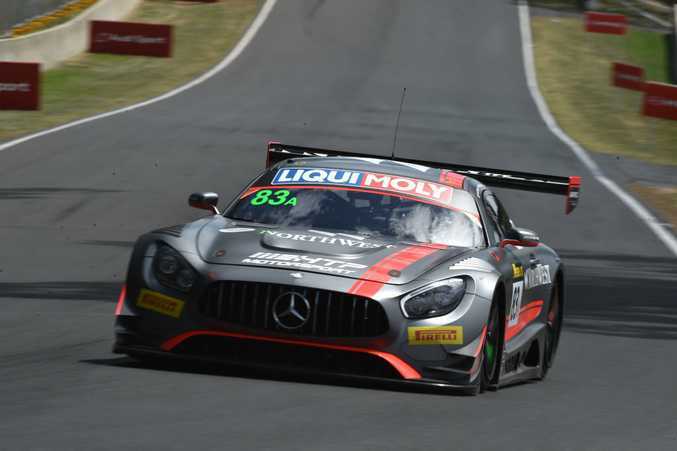 Teamed with Craig Baird and Maro Engel, the Mercedes-AMG clashed with the leading Ferrari 488 GT3 after a safety car restart, spinning the Italian car around and into the gravel trap. Driver Craig Baird was given a ten-second stop-go penalty for causing the clash, but the team has worked its way back up to the lead in a compelling first half of the endurance race. The Maranello Motorsport Ferrari driven by Whincup/Lowndes/Vilander is currently in second place, followed by the #24 Nissan Motorsport Nissan GT-R GT3 and #17 Bentley Team M-Sport Continental. There have been numerous safety car periods as the challenge of Mount Panorama takes its toll. 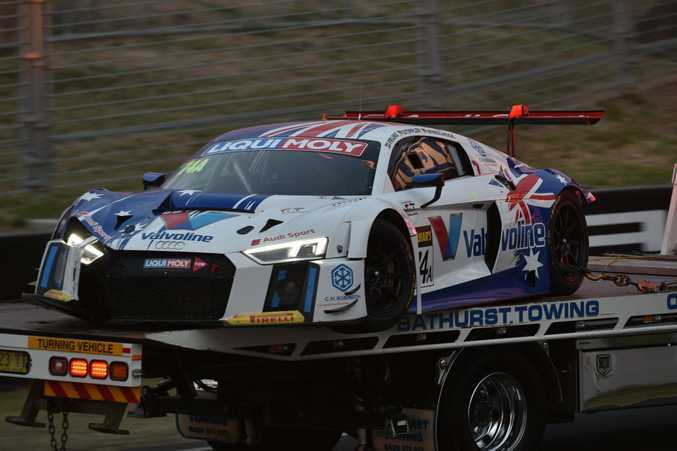 Mechanical failures and accidents have seen plenty of retirements and lengthy repairs for some of the front-running entrants, with the Audi R8 LMS and BMW M6 GT3 in particular enduring tough mornings. 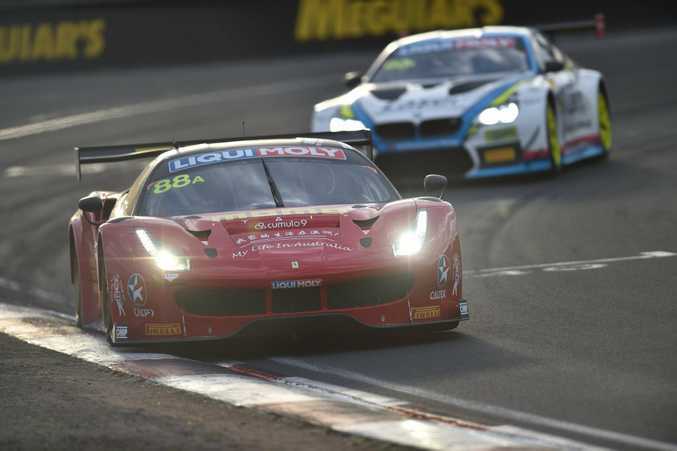 THREE hours in to the Bathurst 12 Hour and the Ferrari 488 GTB of Jamie Whincup/Craig Lowndes/Toni Vilander leads the way. Chaz Mostert was an early leader as the race started in darkness at 5.45am AEST, but the Supercars driver brushed the wall in his BMW M6 GT3, damaging the suspension and needing a lengthy repair job in the pits. Biggest mover of the race so far is the Mercedes-AMG GT3 of Craig Baird/Shane van Gisbergen/Maro Engel which is currently running in second place. None of the Mercedes-AMG GT3 racers qualified in the top ten, but reliability and avoiding incidents has ensured a strong showing in the first few hours of the race. The Nissan GT-R Nismo GT3 of Todd Kelly/Jann Mardenborough/Florian Strauss is currently in third place. 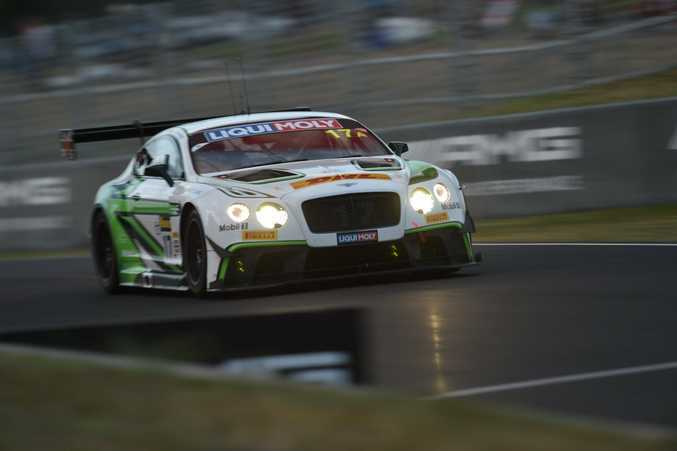 Live streaming of the race is available on the Bathurst 12 Hours website.